ROOMS: 48 cottages and cottage suites, all beautifully appointed and designed in classic Southern style. The cottages feature 1,140 square feet of luxurious indoor/outdoor space and a well-appointed interior with pine floors, marble steam showers, vaulted ceilings and a private screened in porch. The cottage suites are a bit larger at 1,340 square feet of space. Take in waterfront views from the screened-in porch, then retire to your cozy living quarters, which feature a separate bedroom, fireplace, residential furnishings and thoughtful details throughout. BAR: All of the restaurants feature bars. There is also one located in the main Inn building where guests can get a glass of wine in the evening to enjoy on the porch or take to the fire pit to enjoy with a self-made s'more! POOL/GYM: The property features both an adult pool and family pool, both of which offer food and beverage service. Every detail is thought through including a bucket of complimentary waters brought to guests as they arrive poolside and towel refreshment often. The property also offers two gyms for guests. SPA: Rated the top spa facility in the country in 2010, the luxuriously appointed spa offers a vast variety of treatments for guests, including signature baths, bodywork and massages, facials, and other cosmetic services. KIDS: Yes. There were as many families on property as there were couples, and the property features a large assortment of activities for children and teenagers. LOCATION: Bluffton, South Carolina, only a twenty-five minute drive from Savannah Airport (SAV). Summed up in two words: pure bliss. Montage has added a true gem to their portfolio with this property. Every detail has been thought through and the service is impeccable to boot. Whether a couple looking for a romantic getaway to a family looking for the perfect family vacation, The Inn at Palmetto Bluff is just about togetherness. From leisurely bike rides under the moss-draped oaks to canoe rides in the lagoon there are adventures waiting for you. For those just looking to getaway the top-rated spa and the serenity of the adult pool can provide that peace. 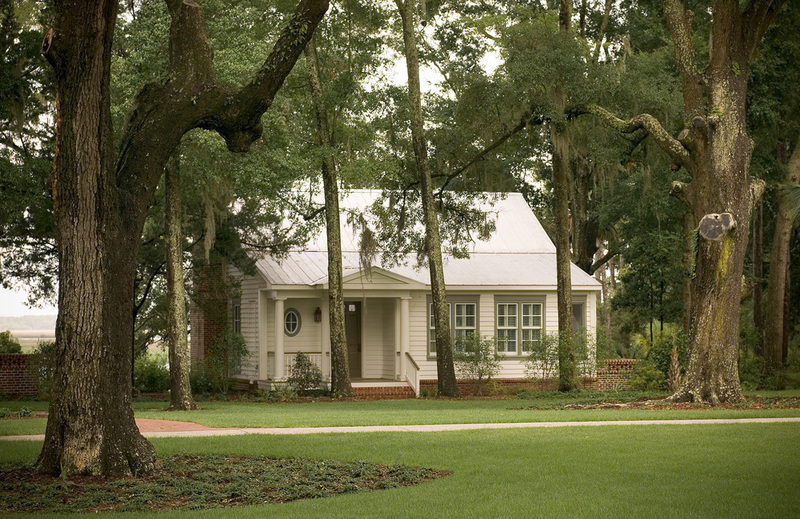 It is plantation-style luxury paired perfectly with southern hospitality.